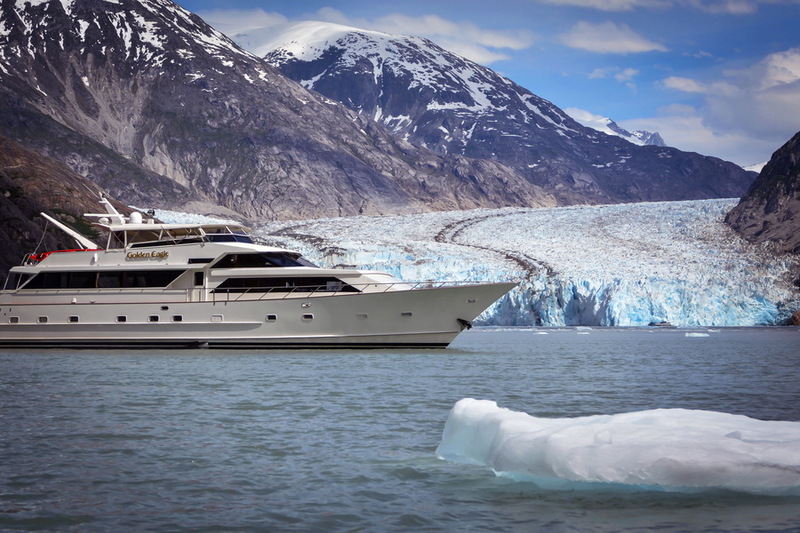 The 100ft custom Motor Yacht (M/Y) ‘Golden Eagle’ was built by Broward in United States. 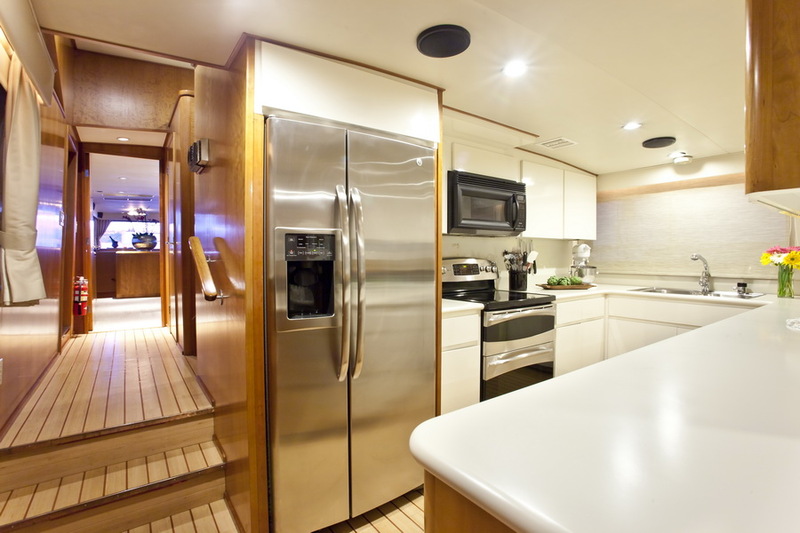 This luxury vessel’s sophisticated exterior design and engineering are the beautiful work of Broward. 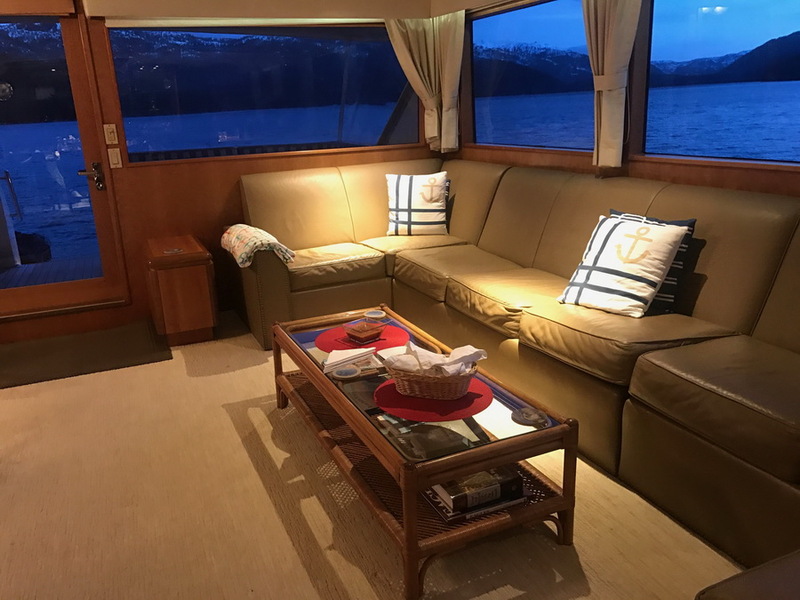 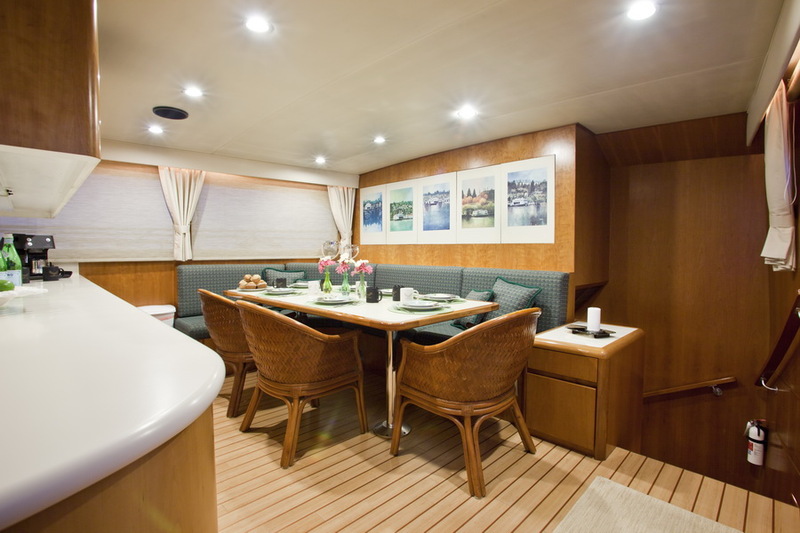 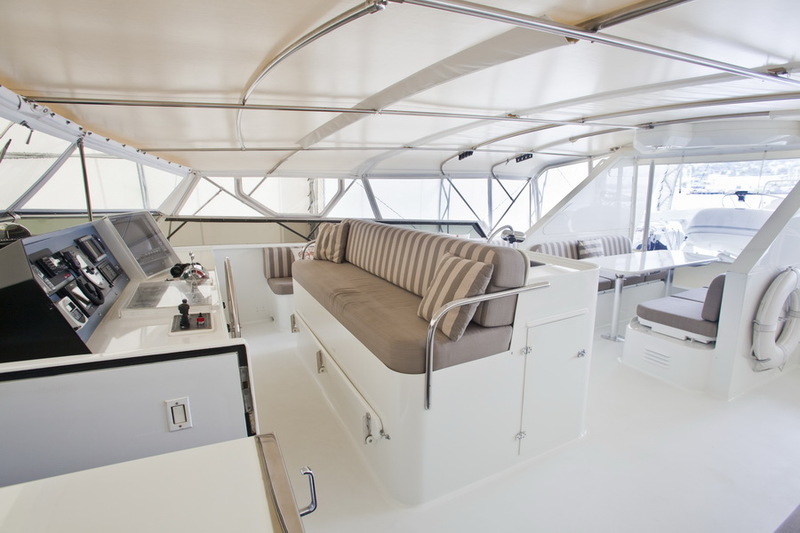 Golden Eagle’s interior configuration has been designed to comfortably accommodate up to 8-12 guests overnight in 4 luxurious cabins, each with private spacious ensuite head. 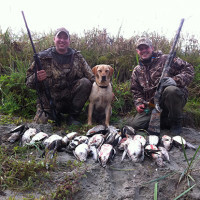 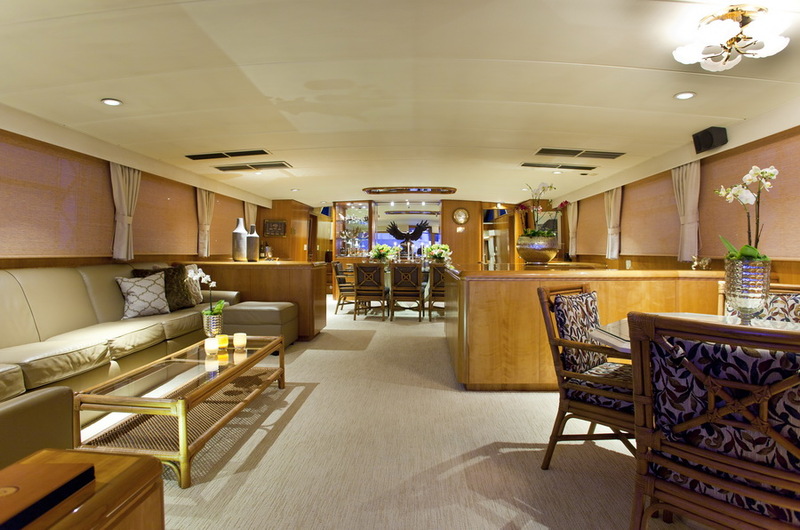 With multiple seating areas, inclusive of a covered flybridge with ample seating area and table. 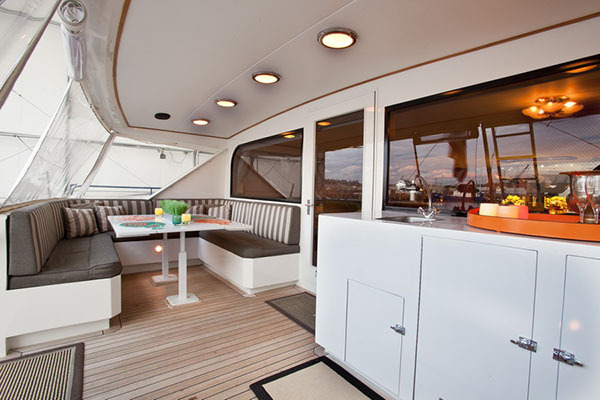 There is an additional covered seating area with a table off the stern to enjoy the fresh sea air and gorgeous views. 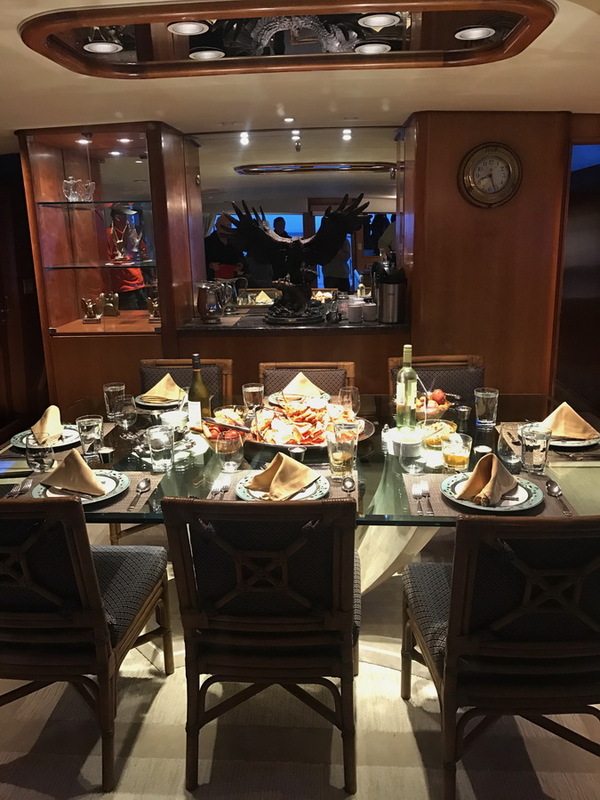 There is a large dining area, with lounge/bar, living room area that boasts a large leather couch to enjoy your views from, another seating table to sit at and converse with family and friends. 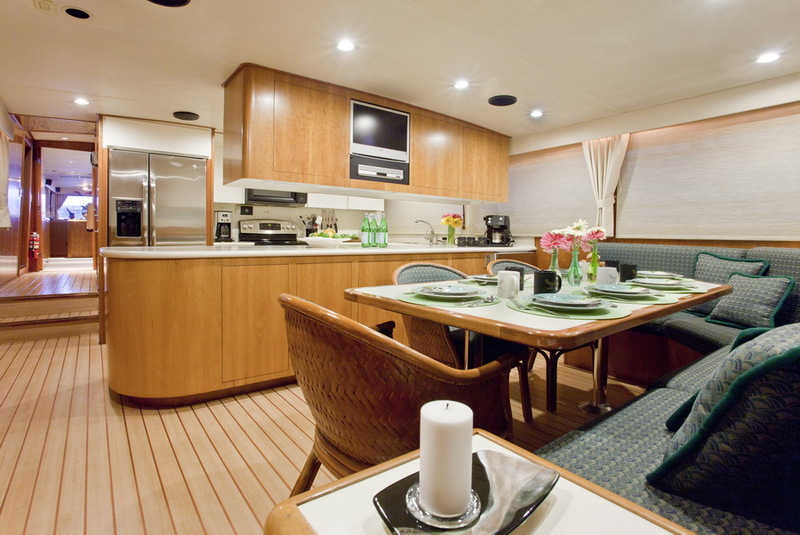 No matter where you sit, you’ll enjoy the 360 degrees of beauty from the expansive windows, anywhere on the boat. 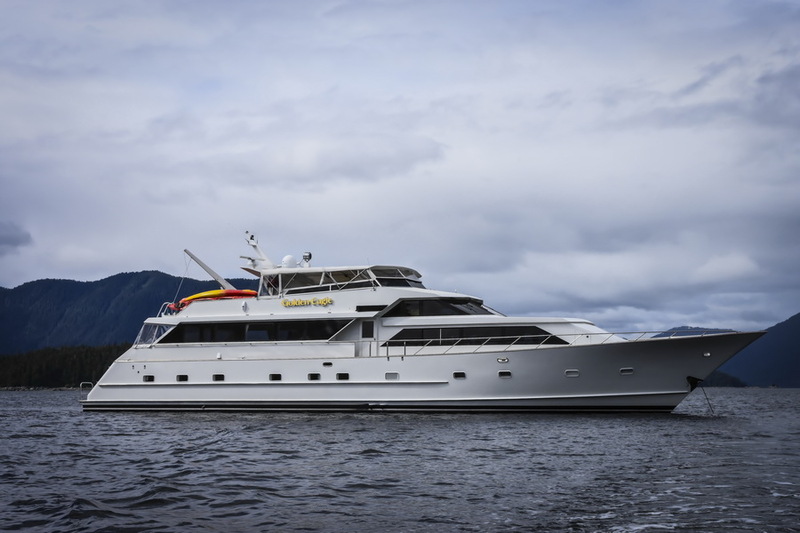 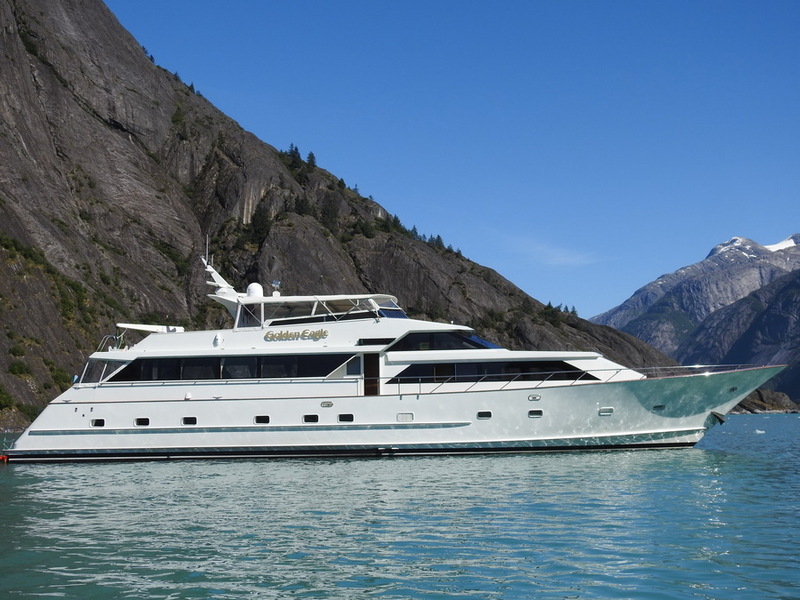 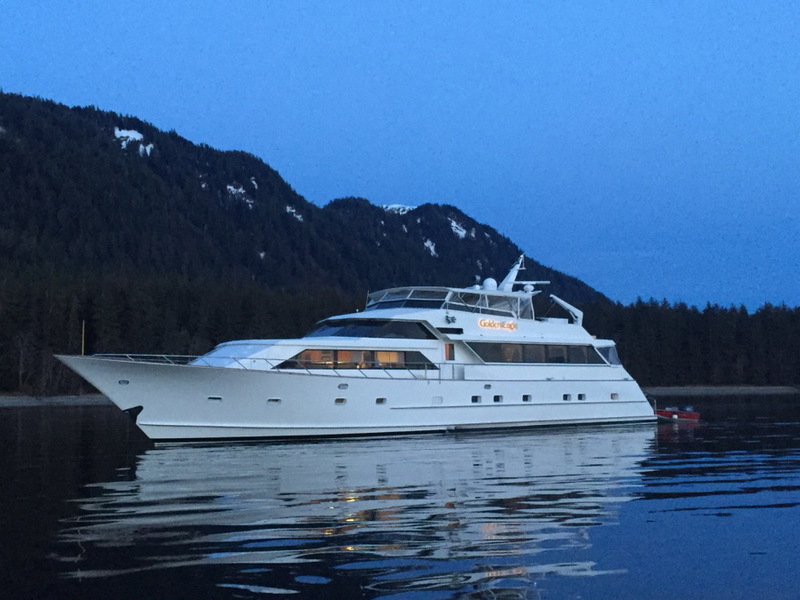 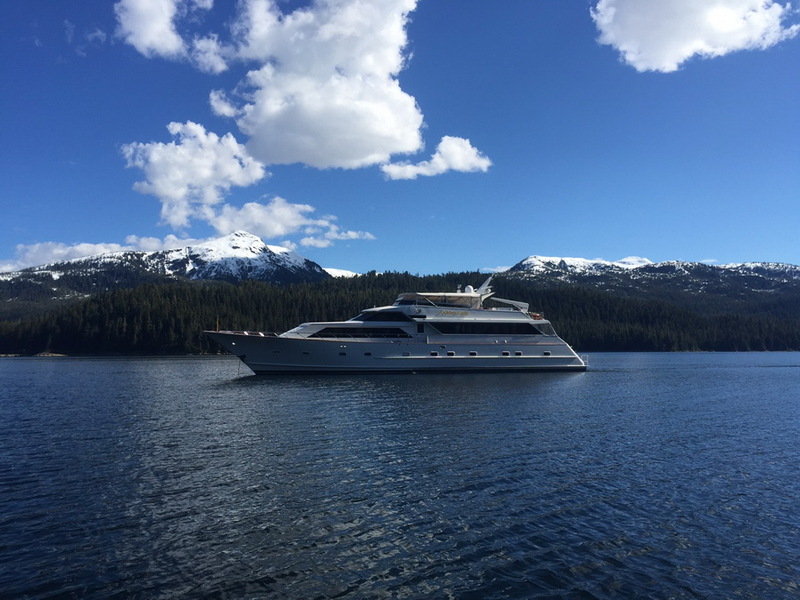 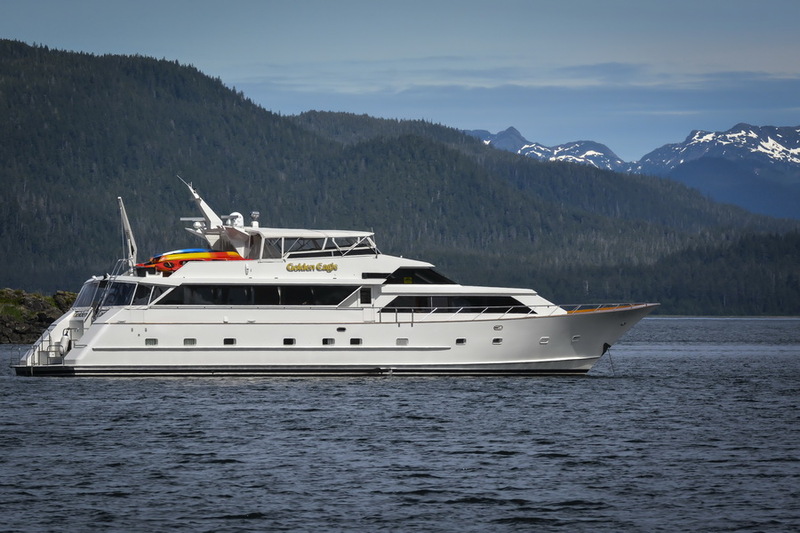 Golden Eagle features a semi-displacement aluminum hull and aluminum superstructure, with aluminum & teak decks, allowing her to cruise smoothly through rough waters. 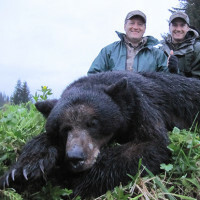 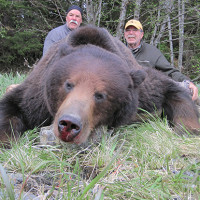 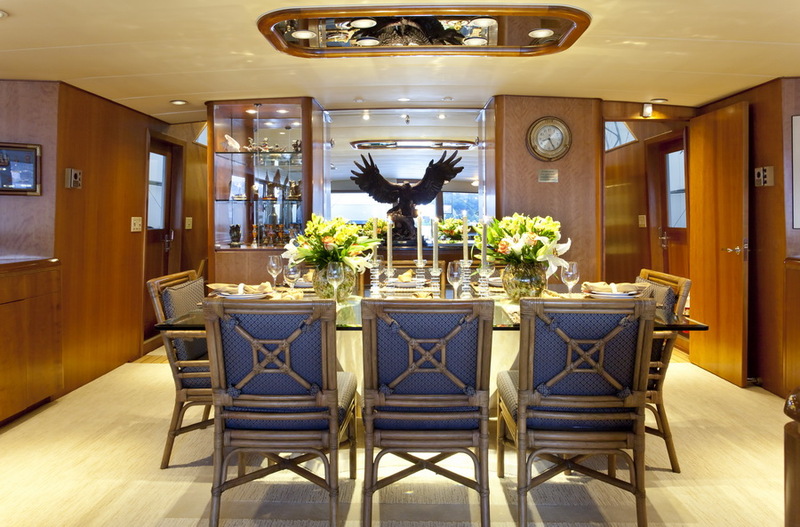 The Golden Eagle is 98′ long as has an incredible 20′ beam. 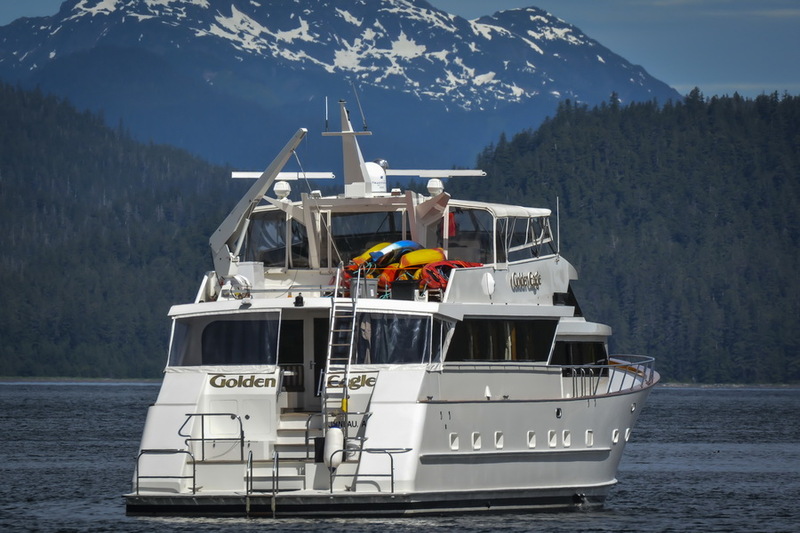 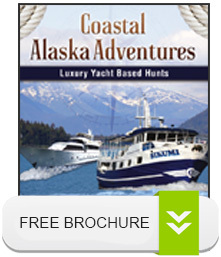 All of this makes the Golden Eagle an incredible yacht for your adventure.